Let me begin by stating that as I argue for the reason why Christians should NOT insist on Zambia being constitutionally declared a Christian nation, I am painfully aware that there are some very good colleagues of mine who think otherwise. I have the greatest respect for them, though, as you shall see from this paper, I seriously beg to differ with them on this point. I do not doubt the good intentions of many of those who want Zambia to be a Christian nation by constitutionalising Christianity, but I think that they are still wrong. 1. 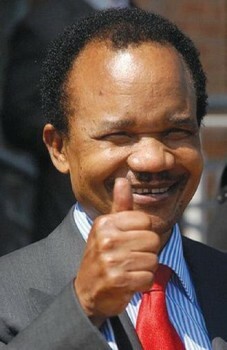 So that Zambia can be governed by righteous laws. The assumption made by those who put this argument forward is that righteous laws will only be ours if there is a declaration in the constitution. ANSWER: Sadly, that is not the case. Righteous laws will be part of this nation if the church does its God-given work. The church is to achieve this, not by forcing the majority’s religion upon the minority but by our being salt and light in the world. We are to work like yeast in the dough. That is the way in which we will ensure that the laws we see to be right are enacted in the nation. As we permeate society with the Word of God, the majority will want righteous laws to be enacted over the land. That is the way we are to do it. 2. So that we can have the blessing of God. This is a rather superstitious reason. There are many who think that the kind of pronouncement that was made by President Chiluba in 1991 and the subsequent inclusion of the statement in the constitution will bring economic prosperity to Zambia. ANSWER: That has never been God’s way of doing things. Mere declarations do not change a culture of laziness and corruption that stifles growth and kills a nation. Rather it is as those of us who are Christians learn to put the Bible into practice through stewardship, hard work, and faithfulness that prosperity will come. To attempt any other method is mere superstition and it will fail in the end—much to our shame. 3. It is just a matter of fact. 80% of Zambians are Christians. We pray when opening Parliament, our presidents have been Christians, etc. ANSWER: If this is the reason, then there are so many “Christian” nations in Africa and the world. So I wonder why we should be fighting over the matter. Then South Africa, Zimbabwe, Kenya, Botswana, Namibia, Swaziland, Britain, America, etc., are all “Christian” nations. So, why the fuss? Surely, there must be something more we are trying to do than just stating a fact. 4. If Muslims have declared their nations as Muslim nations and even instituted Sharia Law, we should also do the same. Many who put forward this reason are aware of the suffering that Christians in Muslim nations are going through for their faith and they want to prevent that from happening here by a constitutional declaration. ANSWER: Sadly, this kind of reasoning makes Muslims call the tune and we dance to it. No, as Christians we should be the ones showing the Muslim world how civilisation ought to be carried forward. Remember also that when Israel started wanting to be like other nations, that was the beginning of their downfall. It will be the same for the church. Rather, we must follow the Word of God as a church. Also, we need to understand that there is one major difference between Christianity and Islam that makes such copying erroneous. Islam is essentially territorial. It thinks in terms of taking over actual political power and square kilometres of land, even if the majority in that place are not Muslims. Then from the outside it enforces its religious norms on the people under its power and on its territory. Christianity is not like that. Christianity works like yeast in a batch of dough. It captures individuals one by one, through reason and regeneration by the power of God’s Holy Spirit. Thus it works from the inside out. That is why Christianity does not need political power to be on its side and does not force itself on people. And yet it’s the most powerful force in the world! It seems to me that the greatest problem with this declaration and its documentation in the Zambian constitution is that in fact the whole thing is a serious doctrinal error. According to the Bible, there is only one “Christian” nation. It is the church. The Bible says, “You [the church] are a chosen people, a royal priesthood, a holy nation, a people belonging to God, that you may declare the praises of him who called you out of darkness into his wonderful light. Once you were not a people, but now you are the people of God; once you had not received mercy, but now you have received mercy” (1 Peter 2:9-10). At one time, in the Old Testament, this was the special privilege of the nation of Israel (see Exodus 19:6). But ever since the Lord Jesus came into the world to inaugurate the New Testament church, this privilege has been passed on to the church. No one has the right to pass it onto another group, however well meaning he might be. Many people go to the text that says, “Blessed is the nation whose God is the LORD” (Psalm 33:12 and 144:15) and use this to teach that if a president or constitution can state that the nation belongs to the Lord then blessings will flow upon that nation. But is that what this text is teaching? Look at the context of this verse and you will see that it specifically refers to the nation of Israel. Psalm 33:12 says, “Blessed is the nation whose God is the LORD, the people he chose for his inheritance” (Psalm 33:12). Who are those people whom God chose for his inheritance? It is the nation of Israel in the Old Testament and the church in the New Testament. To apply that to Zambia is crazy, to say the least. In fact, in this text it is not us choosing God but God choosing a people to be his. The text says, “Blessed is the nation whose God is the LORD, the people he chose for his inheritance.” Do you see the error of using this verse to justify declaring Zambia as a Christian nation? It is torturing a verse until it confesses a lie! Another reason why we should be very concerned as Christians about this declaration is that when in history a thing like this has happened the result has been the corrupting of the church. This was the case when Emperor Constantine declared his entire empire Christian. The persecuted church, which had turned its world upside down with the gospel, soon lost its spiritual power as corruption entered into it. It has been the same right across the ages. When the church and the state have joined hands in the dark, daggers have begun to fly to the hurt of the innocent. Remember that the Spanish inquisition was done in the name of Christianity when the church had locked hands with the state. Without over-personalising the issue, I say, look at the marriages and family lives of those who were in the fore-front of the declaration of Zambia as a Christian nation. Look also at what has come to light concerning where state funds went ever since pastors started going around with diplomatic passports. I repeat: These steps only injure the church and its testimony. It has been the same across history and it has already repeated itself in Zambia. Things will only get worse if we do not learn from history. We must never go that way! The question that must be asked by every sane individual is, “What do we really want to achieve as Christians by this declaration?” Many people have begun to claim all kinds of advantages which will be ours as a church in Zambia if this declaration is upheld, which to my mind do not need the declaration at all! For instance, do we really need a declaration in a constitution in order for those of us who are Christians to actively participate in politics, or those of us who are church leaders to pray at functions where we are called to participate, or to pray and counsel with the state president at his wish, or to invite preachers from abroad to preach among us, or to establish more and more churches around the country, or to have Christian programmes on radio or television, etc.? I do not think so. We have been doing all these things since Independence in 1964, well before 1991; so we do not need it in order to continue. On the other hand, if this declaration is meant to give the church an advantage over people of other faiths in the governance of the nation, to secure diplomatic passports for church clergy, to gain appointments for some clergy into positions in government, to have exclusive rights to proselytise over the airwaves, to use state funds to put up church buildings and purchase church pews, etc., then it is wrong. There is no biblical argument for the church to secure such favours from the state. Apart from that we should realise that state funds are taxed from every citizen, whatever his religious inclinations, and so must be shared equally. To give undue advantage to one religion over and against another is to be unfair—even if that religion is Christianity. There is no doubt that the Christian church has work on this earth to win the lost to Christ and to build them up in their most holy faith. My point is that we do not need the state to be on our side in order for us to do this. All we need is space. That is all. To claim that by some decree of parliament, or constituent assembly, or state president we can achieve more spiritual fruit in this nation is to totally miss the nature of Christianity. It is at most a mere fruit of superstition or at least a failure to realise what the Bible means when it says, “For though we live in the world, we do not wage war as the world does. The weapons we fight with are not the weapons of the world. On the contrary, they have divine power to demolish strongholds” (2 Corinthians 10:3-4). We are to win the world through prayer and the preaching of the gospel, and not through any undue advantage given to us by presidential decree. This is what Paul wanted Timothy to know as a young pastor of a church. He said, “I urge, then, first of all, that requests, prayers, intercession and thanksgiving be made for everyone – for kings and all those in authority, that we may live peaceful and quiet lives in all godliness and holiness. This is good, and pleases God our Saviour, who wants all men to be saved and to come to the knowledge of the truth. For there is one God and one mediator between God and men, the man Christ Jesus, who gave himself as a ransom for all men – the testimony given in its proper time. And for this purpose I was appointed a herald and an apostle-I am telling the truth, I am not lying-and a teacher of the true faith to the Gentiles” (1 Timothy 2:1-7). 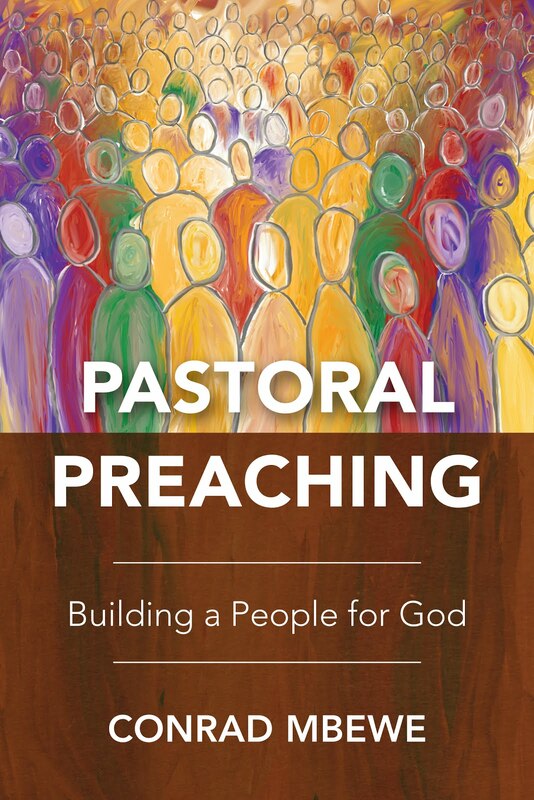 Notice the combination of prayer, preaching, and the quiet lives of Christians as a witness for Christ. Let people become Christians because they see the way in which those of us who are Christians conduct our lives in the home and the work place. When our lives adorn the gospel, and our preachers faithfully preach the gospel, then our neighbours will come to Christ. And as more and more of our neighbours become Christians then we shall see them enact righteous laws and obey them whole-heartedly. This is the Zambia we want, and this is the biblical way to achieve it. So, let us not seek to achieve this in any other way. Perhaps the best place to end this presentation is by bringing us back to first principles. What is the state and what is the church? Once we come to a biblical understanding of these two institutions and what their purposes are, we will have no problem seeing the absurdity of declaring Zambia a Christian nation (or a secular state) and enshrining it in the constitution. The state (or national government) is there primarily to protect the vulnerable by regulating relationships and punishing offenders beyond the immediate context of the family (domestic government). If it were not for the fact that families have to co-exist in a sinful world there would be no need for national government. Each home would merely look after its affairs. But what happens when a husband falls in love with a sweet sixteen and kicks his wife out of the home? The state comes in by regulating the only legitimate context in which a husband could do that. It also protects the woman who is kicked out by ensuring that her interests are taken care of. Also, in cases where an external enemy (either a thief breaking into a home or a foreign army invading a village) threatens its citizens the state has a police service and an army to protect the vulnerable. That is the job of the state. Nothing more. It, therefore, functions on the premise of natural law and fairness. It is a gift of God for the whole of humanity to ensure co-existence and peace. We must not give the state any greater role than that. Many of us have reached a point where we want the government to even come and sweep the dirt in front of our door! That is wrong. Apart from ensuring this mutual co-existence through the protection of the more vulnerable among us, we ourselves as individual citizens and as homes must do the rest. The church on the other hand is redemptive. Its work is that of bringing people into the right relationship with God. It needs to be very defined as to its belief systems because it is not about protection primarily but about taking people somewhere—to God. Who that God is, what he wants from us, and what he plans to do for us and to us, is what religion is all about. Concerning those matters, the church will want to be very definite. In that sense, through its teachings, the church will have an influence on the state—but only indirectly. Its influence will be upon the individuals whom it has convinced as to its point of view. As these individuals carry out their responsibilities within the pale of the state (or government) their decisions shall be coloured by their individual belief systems. Where this clashes with that of others, the state will come in only to protect the vulnerable from physical harm. That is all. The state must never go beyond this. This is why it is crazy to want to define the state in religious terms. It is simply an institution to ensure the protection of the vulnerable on the basis of natural law. That natural law of fairness is plain even to a child who has not been to school or church because it is deeply ingrained in us. The child may not know how to work out the finer details of fairness but when those who are knowledgeable have done their work, the child will see that the action taken has been fair. Therefore, there is no need to give the state a preamble of some religion or other. It should be left to do its primary job, and the constitution should be primarily about that and nothing more. I know that one of the main worries of my brothers who want to ensure that no-one tampers with the declaration of Zambia as a Christian nation is that those who are opposing that stance want it to be instead declared as a secular state. I am equally opposed to that. Let us simply leave Zambia as it is. Some may say that by defining or describing the nation as secular we are avoiding giving it a religion. Secularism is a religion. Its god is the human being and what he wants. This is what is killing Western civilisation. We obviously do not want it here. Let us simply enjoy being “one Zambia, one nation”! What matters is that the vulnerable among us are being protected by regulations and enforcements that make sense to true natural justice. Amen! I tremble as I come between two "giants" Conrad and Anderson. In favor of Pastor Mbewe's posting, I would like to say regardless of our Lord's ultimate Lordship over all, the world is the world. Our instructions are very clear (2Corintians 6:14-18; 1 John 2:15). This side of eternity it does seem so clear that the Lord wants us to relate that way. We are to be the light and the salt in the world. We must not christianize the world, but preach Christianity in the world in such a way that the world and Christianity continue to stand different. I believe this is God's design until he completely removes evil (John 17). Hi David, I have read your blog and I see more bible references in this blog than in yours (though I cannot remember any references in yours). Which leads me to ask, do you have any biblical warrant for holding your position? Now, your point in the blog regarding Christ's lordship over the whole world, we should ask how is Christ Lord today regarding the church and the world? How is Christ extending his kingdom? When I consider all this I come to a conclusion that Ps Mbewe is correct. The meaning of the word "world" in 1 John 2:15 seems to be explained by the very next verse; John is speaking of the alternative "world system" headed by Satan in opposition to the kingdom of God. He is not making a church/everything-else dichotomy. Daniel and Mordecai served in pagan empires and were commended by God (e.g. Ezekiel 14:14) - so we can't understand 1 John 2:15 in such a way that we end up condemning Christian politicians who are, like them, trying to operate under the Lordship of Christ. 2 Cor 6:14-18 tell us to not be unequally yoked with unbelievers, and that would be something for Christian politicians to take to heart; however, again, surely if we end up with a position that would condemn someone like Daniel whom the Bible commends then we must be mis-interpreting the meaning. Involvement in the state is not automatically worldly - the state is God's servant, not Satan's (Romans 13). 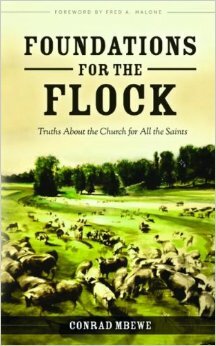 Luckson, my point was the Lordship of Christ over all things, not only over the church. "yet for us there is one God, the Father, from whom are all things and for whom we exist, and one Lord, Jesus Christ, through whom are all things and through whom we exist." - 1 Corinthians 8:6. The state is part of this "all things". As the state is God-given (Romans 13), it is not something opposed to Christ's Lordship to be abolished (like brothels or dens of thieves), but therefore something to be brought into submission to his mind. God's mind is revealed in his word (John 17:17). Therefore, the state should submit to God's word. Brother Conrad ends by writing that "Let us simply enjoy being “one Zambia, one nation”! What matters is that the vulnerable among us are being protected by regulations and enforcements that make sense to true natural justice." But, how do we know that these things matter? Who told us and placed it in our hearts by the Spirit? Christ did, and he reveals his mind in the Bible. How can it be wrong if the state were to explicitly confess "we learnt these things from Jesus, and we are doing what we should when we keep learning from him?" Historically it's the influence of the Christian church that has lifted such priorities up the state's agenda (instead of say, just crushing or ignoring the weak so they don't drain valuable resources). This does not mean that we confuse the state with the kingdom or with the church. They remain distinct, even whilst both are legitimate spheres for us to lift up the banner of Christ within. Genesis 1:1 tells that God made the heavens and the earth and everything in them. The people of God should be concerned with every rightful part of creation. The state is a very major part. This does not mean we think that good laws or politics can save people, or anything like that - but it does mean that we want Christ to be honoured explicitly everywhere, and without hypocrisy (as brother Mbewe says) - not only in the church. That doesn't mean that we turn the church into a political party or equate victory with forcing Biblical laws upon unwilling unbelievers. The kingdom is not advanced by outward coercion, as Jesus explained to Pilate when he told him that his kingdom was not from this world. 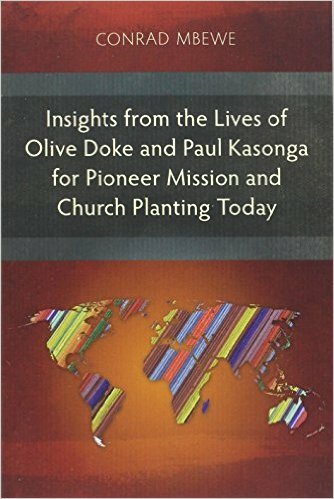 The gospel changing peoples' hearts, not political action, is the basic cause of true, lasting, social change - it is the gospel leaven in the parable that leavens the lump of the whole creation (Matthew 13); the kingdom (the church) is the mustard seed that becomes the tree that the birds all come and nest in, etc.